We’ve got together with the gorgeous Greek natural beauty brand Korres to offer one lucky reader the chance to win a beautiful beauty travel set bursting with totally terrific products you can pamper and preen yourself with – whether on holiday (on a beautiful Greek Island) or at home. KORRES BASIL LEMON SHOWERGEL – a creamy foaming formula that includes wheat proteins to hold moisture in the skin. KORRES GUAVA BODY BUTTER – rich and creamy; ideal for dry elbows, heels and knees. Please note I will not pass on your email address to any third party. Closing date: Monday 1st August 2016. Delivery to UK addresses only. I love KORRES because it is a green, natural , no nonsense organic brand from Greece. I have tried various body products over the years and was always happy with them. This would keep me smelling fresh and ready for my upcoming trip to Peru! I love that they are natural and organic products. I would use them everyday! 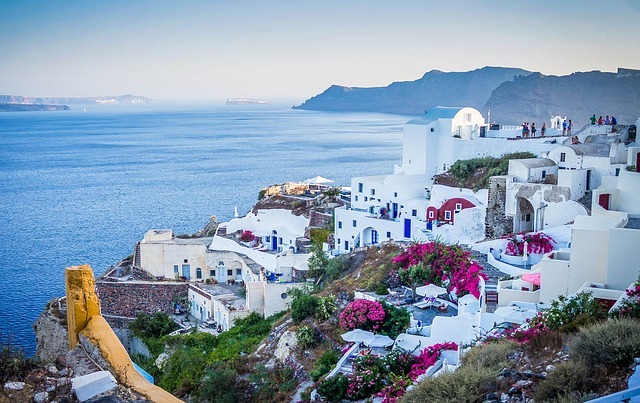 I love natural and organic products and worked all over Greece during my uni Summersa as well as holidayed there many times – such a beautiful country! I love korres because they’re all natural and cruelty free. I would love to use this on holiday but would also use it at home (due to lack of upcoming holidays!) but I feel that the summer scents would be perfect even at home. I love Greece and would love these products as they would help me to reminisce on girls holidays back when I was young free and had my looks! ? I have spent many happy holidays in the Greek islands. I love the Korres skin care brand as it has natural ingredients and is gentle on my sensitive skin. This Korres range looks fab and I would use this on holiday to the Costa Del Sol, as I will be visiting there soon. I’d love to win this as I love trying new products and this is new to me and looks good for my holiday. I have heard of Korres but somehow have never got round to trying it. Good sizes for a holiday but what I like the most is the delicious sounding shower gel flavours: guava and basil lemon. What a nice change from strawberry. I’d like to win because I love to try out new products and share them with my mum! Plus you never know, I might book a spontaneous trip abroad to use them on! This is pure luxury and I’d love to take it on my next jaunt to Puglia in Italy although I adore Greece. The products look irresistibly refreshing…great stuff! I would love to win this. I am only going to Wales. Such a lovely range of scents – I’ve got no holidays planned, but using these would mean I could have a mini pamper break in my own bathroom! I love this brand for ethical reasons mainly. But also quality and luxurious feel. Korres to wake me up and energise my summer holiday shower! Yes Please! ?? I haven’t tried Korres yet but the range sounds lovely and I would use it to make me feel special and pampered. I haven’t tried these products yet, but I have heard that they are all natural and organic which I love. I would really love to be able to try them out for myself and see if they live up to my expectations! I love Korres because its a natural product. I love Korres products because they are gentle and the ones I’ve tried so far always smell divine! I love that Korres uses all natural ingredients. I love the fragrent smells and the fact that they are made with natural ingredients. Just returned from a lovely week in Crete. I think I’ve only tried a hand cream from Korres before but my skin needs lots of moisture now after soaking up all that sun! They smell delicious and their body milks are to die for. Yet to try some of the other products in the range so would love to win this. Plus they look ideal for taking on your travels & I have a few trips planned… including (hopefully, if my passport arrives in time)… Cyprus. I love to try new products and i am always looking for organic brands, i would be so happy with the opportunity to try this!! I love the smells of all the products! Organic brands are preferred in our house, plus I am always excited to try new brands. I’d take this handy selection to Greece on holiday. I would like to try this brand because I’m always on the lookout for brands that are cruelty free. Thanks for the giveaway. im new to these products but would love the opportunity to try them and take them on my holiday this year. I haven’t used the product range before, but I would like to try them. I also think my daughter would benefit from them as we don’t seem to be able to find a shampoo suitable for her. I’d like to use them on my next holiday to Cornwall. These sound great; I’d love to try them out! I haven’t tried these products yet, but as I have really dry skin and keratosis pilaris, I would love to try it! We hope to be going to Crete later this year and these would be perfect for then. I have visited Santorini and its a very beautiful place and hope to return some day. The products sound really nice would love to try them. Lovely gift. The Greek Islands are all beautiful. i want to win because all natural ingredients, perfectly blended – help me look as nature intended! Korres Only use natural products, I love using Korres Basil Lemon Showergel because the wheat proteins keeps my skin feeling ,moisturised I use it straight after swimming. I love Greece and the people and the ouzo is not bad either! I have never tried korres but I would love to win to try for my next holiday ? I have never used this brand but it sounds like one I would love to try! I would love to win to use when I go on holiday to celebrate our 30th anniversary in November. I am yet to try this range but what I can say is that I would love to try it! I bet it smells like a beautiful holiday and will take you back over and over again to that holiday and I bet your skin is left feeling like you have been to a spa! I’ve not tried these but they sound good – I like the sound of the KORRES GUAVA SHOWERGEL and it’s anti-aging properties! Just what I need! I love Korres because the products are natural and smell great! I haven’t used Korres products before but I do like to use natural, green cosmetics and toiletries. I would like to give Korres a try too. 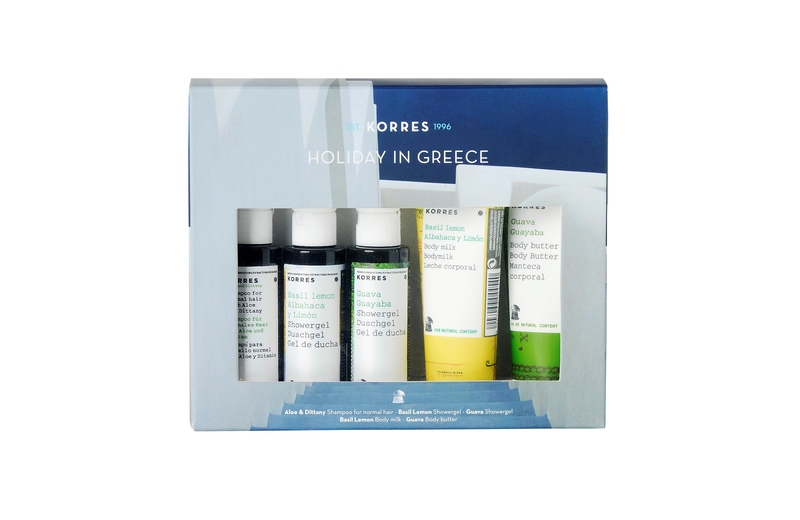 I’d like to win as I love Greece and the smell of Korres products always brings back happy holiday memories. I’ve not tried Korres but would love to because it is so natural. Since so much of what we put on our skin is absorbed into our bodies it is important to use natural products when possible. I was introduced to Korres earlier this year when a shower gel was in my monthly beauty box. I was hooked straight away – the scent, neatly shed a tear when it had all gone! I’d love to win this to treat myself. I’d use it in my bathroom and pretend I was in Greece! I haven’t used this brand before but have heard great things. I would love to win and try it for myself. I love these products because the are gentle and kind to skin. They are also brilliant quality that I would have no hesitation in recommending them to all of my friends. I love that they are natural and organic products. Thanks for the great prize! I love KORRES, what’s not to love, they are a natural , no nonsense organic brand from Greece! I’ve never tried the KORRES products so sadly can’t comment on what they are like, but I’d love to win them to try them as they sound lovely. I love Greece and it’s history and culture and setting and Mamma Mia always reminds me of it’s beauty. Have tried Korres Basil lemon body milk as a sample from a shop once and loved it so much. Its natural creamy and made my skin feel fab. My Mum uses Korres and is always getting compliments on her skin so I would love to try it on my holiday Cornwall. I’ve never tried their stuff but it looks great. BASIL LEMON SHOWERGEL sounds delicious! I love the products because they are ethical, natural, top quality and fab! It looks nice for my teen as she will not be painting chemicals all over her body. I just love love love the smell of the products. I’m off to The Algarve and these would be yummy for in my travel bag. These products sound gorgeous, and perfect for my holiday – but it’s Cornwall, not Greece! korres are always good for travel – they are so moisturising. I am going on a surfing break to Cornwall next year so I would use the products then if I was lucky enough to win. I gave never tried Korres, but I understand that it is an amazing product. I would LOVE to try it on my holiday in France!